The Etta James biography was partially depicted in the hit movie Cadillac Records, but the film only scratches the surface of the story of the immensely talented, if sometimes troubled, singer. James has thrived in the music industry for over 60 years and in fact didn't win her first Grammy until four decades into her music career. 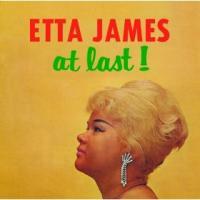 Etta James was born Jamestta Hawkins in Los Angeles, California, on January 25, 1938. Her mother was only 14 years-old when she gave birth to James, and James never knew her father - although he is rumored to be pool player Rudolf "Minnesota Fats" Wanderone. James began singing in the church choir at a young age and developed a love for music. In the early 1950s, after moving with her mother to San Francisco, James formed a doo-wop group with a few schoolgirl friends. The girls dubbed themselves "The Peaches" and eventually attracted the attention of bandleader Johnny Otis. Otis had been looking for a girl group to sing a song he had penned called Roll with Me, Henry, which he created in response to the chart-topping tune Work with Me, Annie. Otis got The Peaches to record the song - James snuck out of town without her mother's permission to go to the studio and laid down the track. The track, which was renamed The Wallflower (Dance with Me, Henry), became a number one hit on the R&B charts. However, it failed to achieve more mainstream success because Mercury Records rushed out a cover version by white singer Georgia Gibbs, which got more radio play. Nevertheless, The Wallflower helped James attract attention within the music industry. She soon parted ways with The Peaches and embarked on a solo career. After The Wallflower, James released Good Rockin' Daddy, which was also successful on the charts. Throughout the rest of the 1950s, James continued to release singles, but none were as popular as her first two songs. James' biggest break came in 1960, when she signed a deal with Chess Records subsidiary Argo Records. Leonard Chess, label owner, put James on some duets with other label artists (notably Henry Fuqua), each of which was a hit on the R&B charts. However, Chess believed James had potential to crossover onto the mainstream pop charts if she focused more on ballad singing. Their first experiment with turning James into a straight ballad artist became her signature hit, 1961's At Last. The song actually didn't rank as high on the pop charts as Chess had hoped - it only went to 43 - but its popularity only grew over the years. It has subsequently been used in a long string of advertising campaigns and movies. After the release of At Last, James enjoyed greater pop chart success with her next string of releases. However, by the mid-60s, James was struggling with a heroin addiction and spent several stints in rehab, which slowed her music career. By the early 70s, James was less of a chart success story but was still extremely popular on the live circuit. In the late 70s, James started recording more rock-influenced music and ended her relationship with Chess. She signed with Island Records, but her career took a downturn in the 80s. She burst back onto the scene with a vengeance in the early 90s, when she released Mystery Lady: The Songs of Billie Holiday. This album won James her first Grammy Award (for Best Jazz Vocal Performance). James won her second Grammy in 2005, this time for her Blues album Let's Roll. Throughout the 90s and 2000s, James received much recognition for her contributions to the music industry. She was inducted into the Rock and Roll Hall of Fame, Grammy Hall of Fame, Rockabilly Hall of Fame and Blues Hall of Fame. In 2009, her family announced that James was battling Alzheimer's disease. James has been married to Artis Mills since 1969. When the pair were arrested for heroin possession in the early 70s, Mills took the blame and went to prison for 10 years. James has struggled with drug addiction for most her life and received treatment as recently as 2010. James has two sons, Donto and Sametto. 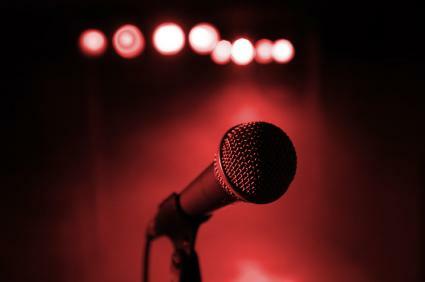 The movie Cadillac Records captured part of James' story, but how accurate was the portrayal? According to many sources, not very. Though the movie depicts Leonard Chess discovering James, she was in fact a well-established artist by the time she signed with the label. Likewise, she and Chess were not involved in a romantic relationship.